Go back to World War I with Megan. Two circus elephants. One performing dog. Can they cheat death with a trick? War Horse showed us the First World War through a pony’s eyes. But did you ever expect to see it through an elephant’s? You’ve got Megan Rix to thank for that. Shanti and her calf Tara are majestic circus elephants. Harvey is the faithful old collie who leads the show. 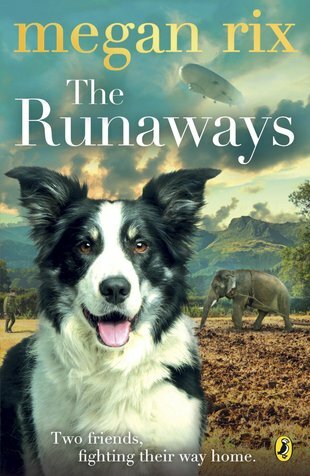 But when the war forces the circus to close and the men are sent to fight, the animals face their own battle to survive… Brilliant stuff: an epic rescue journey across the English fields, as the spectre of war looms.